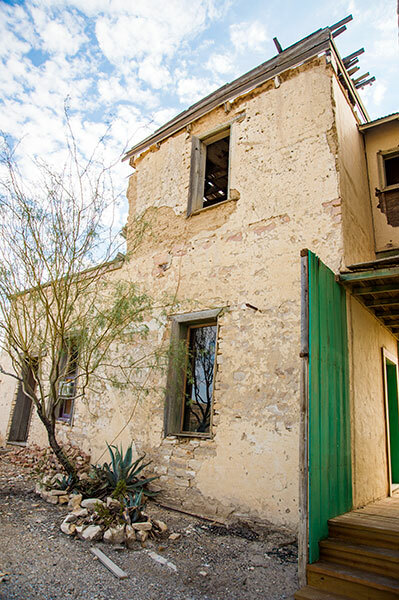 The Holiday Hotel is conveniently located in the Terlingua Ghost Town -- the most famous ghost town in Texas. Just down the road a piece from the end of the earth is the Rio Grande Rock House. This is not some neo-cowboy fantasy replica. It's real by-God Texas history. Built in the early 19th century as a trading post for trappers and settlers from both sides of the border, it's still in the same family. For years, only the hardiest locals inhabited the sturdy ruins, but recently a few insightful archeologists/visionaries began a spare-no-expense renovation that is repairing history. We're proud to be out on the fringe of Texas. Come on down. Deposit: To secure a reservation, a deposit is required. The deposit is half of the cost of the entire reservation. If you need to cancel this reservation, you must send a request from the email used to book the reservation (for your protection). The credit card you used to secure your reservation will be processed for your balance prior to your check-in. Cancellation Policy: Important -- Chili Cook-off, Thanksgiving, Christmas, New Years, and Spring Break all have a 30 day cancellation fee. For all other reservations, if you need to cancel your reservation, email us at least 3 days before check-in to avoid cancellation fees. The Cancellation fee is your deposit. The request must come from the email and name used on the original reservation. Pet Policy: Pets are only allowed in "pet friendly" rooms, require approval and arrangements ahead of time, and required additional fees to be paid. Please make arrangements in advance if you plan to bring your well mannered pet. A $25.00-$35.00 Pet Fee will be added to the price of your room and we donate 10% of those fees to the local animal adoption center. Smoking: All of our rooms are strictly non-smoking rooms. You will be charged a $300 clean-up fee for violating this rule. Smoking is allowed in outdoor patios and porch areas.